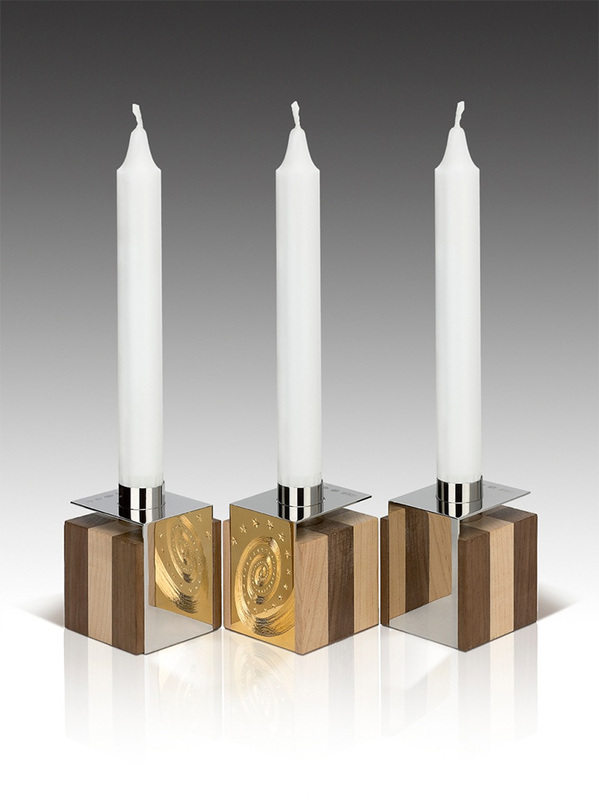 3 Candelholders Design by Alan Craxford Each cube is 5.5cm square. Silver finished in grey rhodium, part hand engraved, part gilded. Wood English Walnut and Maple.